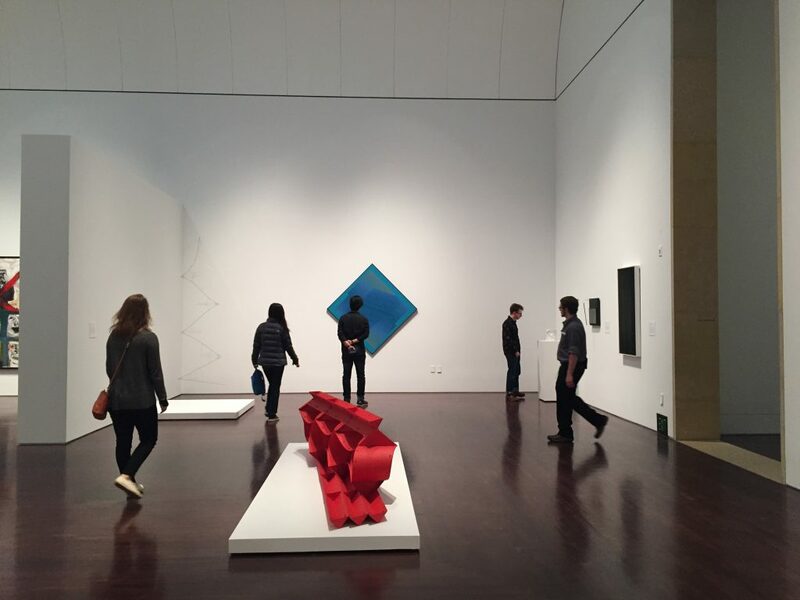 If you’re an art fan in Austin, you’ve probably visited Blanton Museum of Art. But have you been there lately? If not, you’ll find there have been changes far beyond the rotating exhibits. In fact, the museum did a revamp of its permanent galleries that just opened this spring. In addition to the new design of the upstairs galleries, there are more than twice as many pieces on display. It’s definitely worthy of a second look. One of my favorite rooms in the museum is the stunning main atrium. 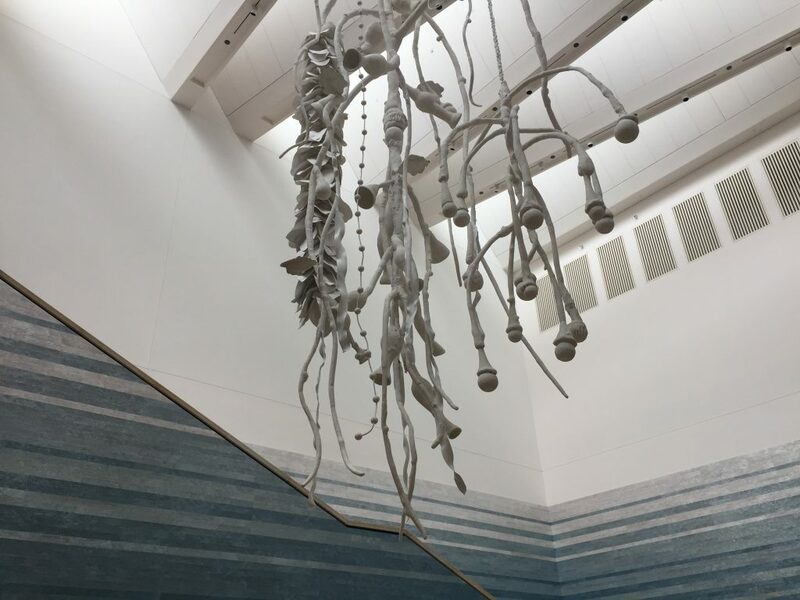 Since 2009, it has contained Teresita Fernández’s beautiful “Stacked Waters.” The many shades of blue tiles lining the walls and stairwell remind me of an oceanscape, sneaking its way into our land-locked city. Now the room has a new addition you’ll see by looking up. Thomas Glassford’s “Siphonophora” is a huge white sculpture that looks both like a single organism and a community. It most reminds me of a kelp forest, connecting to the ocean feel of the room. I’ve only been to the Blanton once since its installation and it’s already difficult to imagine the atrium without “Siphonophora” in place. Blanton Museum of Art completely reimagined the layout of the upstairs galleries. These spaces house the museum’s permanent collection. New walls have been erected, changing the flow of how visitors walk through the museum. 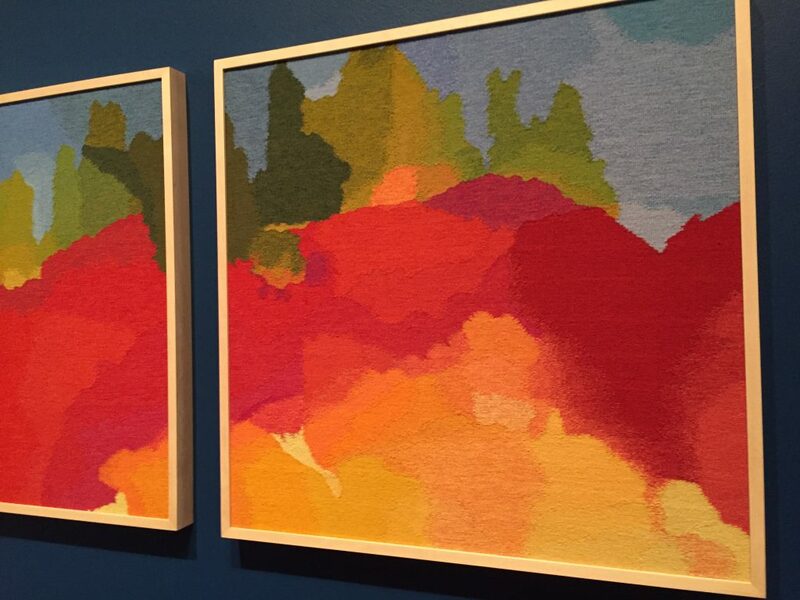 These new paths help you experience the art in the order it was meant to be experienced. They also encourage patrons to slow down and take time to stumble upon a new favorite piece. Additionally, the artwork is no longer hung all at eye level. In one gallery, pieces appear all over the walls. This design imitates how the artist originally intended his pieces to be seen. The permanent collection is structured differently now. There are new galleries focusing on Pre-Columbian, Native American and Colonial Latin American art. Beverly Adams, curator of Latin American art, is excited that the new design features major ideas and movements in Latin American art. Previously, these areas were not represented, and the Modern and Contemporary sections were mingled with art created in other geographies which made a full appreciation of Latin American Art more difficult. 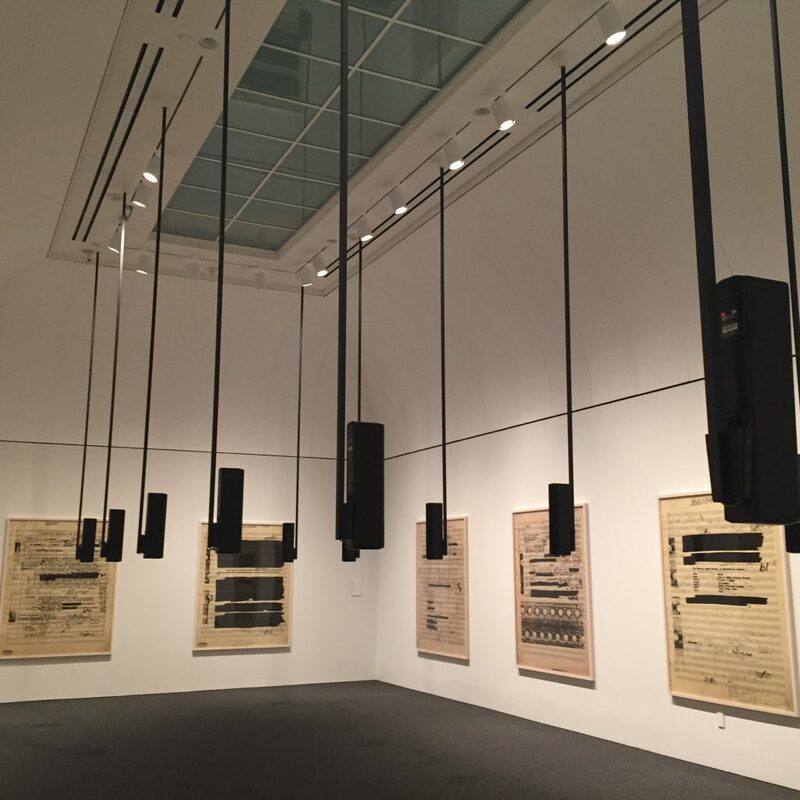 Blanton patrons will be able to see many of their old favorites in a new light–sometimes literally. One of the museum’s most popular pieces is Cildo Meireles’s installation, in which a pool of pennies sits below hanging cattle bones. This piece received a new shine to the pennies, and the gallery around it was opened to receive natural light. You’ll also find a new gallery devoted to video installations. Come by Blanton Museum of Art for a Thursday yoga class in the galleries, special tour or regular Saturday afternoon of discovery. 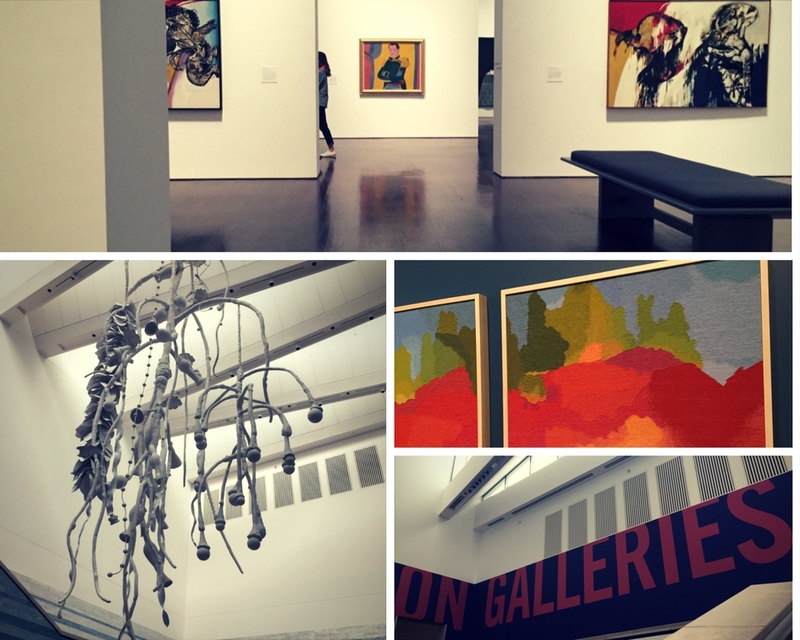 What’s your favorite piece or area at Blanton Museum of Art in Austin?